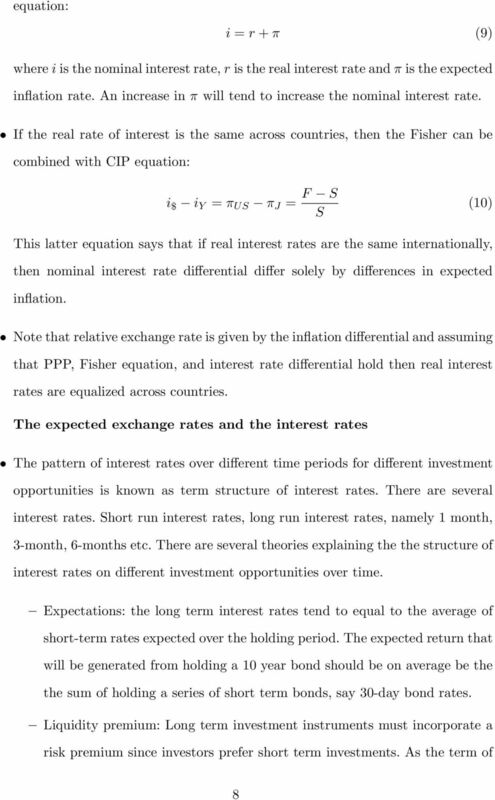 Download "The relationship between exchange rates, interest rates. 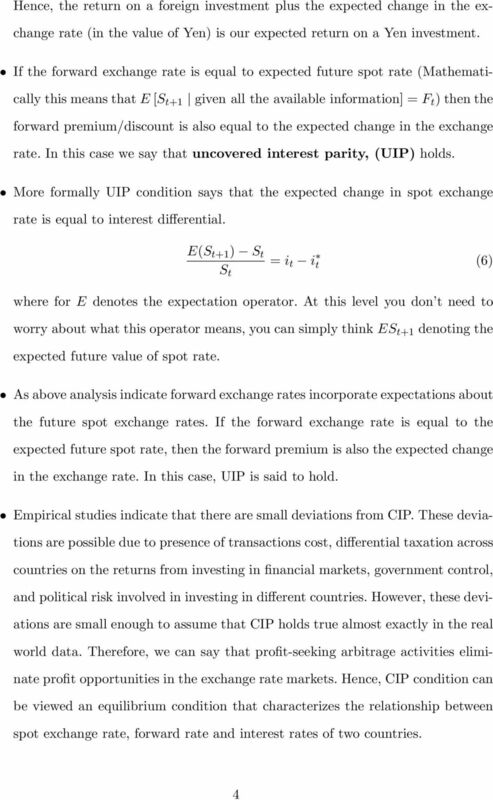 In this lecture we will learn how exchange rates accommodate equilibrium in"
This is Foreign Exchange Markets and Rates of Return, chapter 4 from the book Policy and Theory of International Finance (index.html) (v. 1.0). Test 4 Created: 3:05:28 PM CDT 1. The buyer of a call option has the choice to exercise, but the writer of the call option has: A. 2. 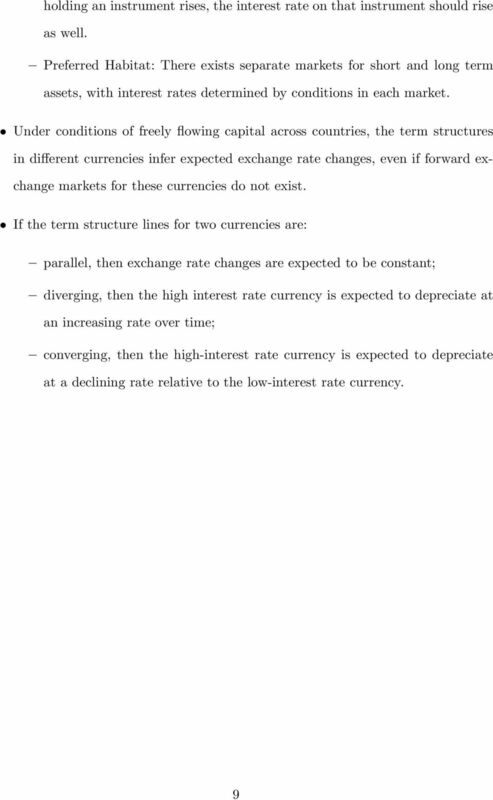 Discuss the implications of the interest rate parity for the exchange rate determination. 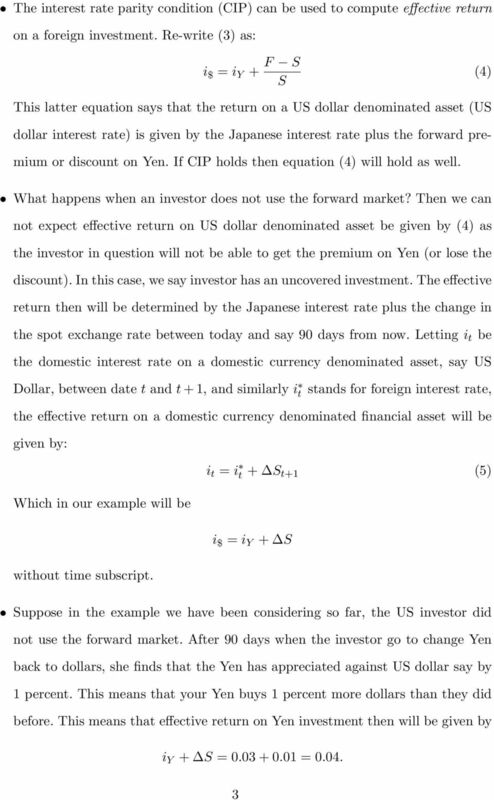 CHAPTER 6 INTERNATIONAL PARITY RELATIONSHIPS AND FORECASTING FOREIGN EXCHANGE RATES SUGGESTED ANSWERS AND SOLUTIONS TO END-OF-CHAPTER QUESTIONS AND PROBLEMS QUESTIONS 1. Give a full definition of arbitrage. Arbitrage. In London: USD/GBP 0.645 In New York: USD/GBP 0.625. Foreign Exchange Markets. A). Introduction. USIU-A FIN 6030: International Financial Markets Summer Quarter 2001 Protus Sigei. USIU-A FIN 6030: International Financial Markets Summer Quarter 2001 Protus Sigei. Foreign Exchange Markets. A). Introduction. Foreign exchange markets facilitate international cross-currency investments. 2. 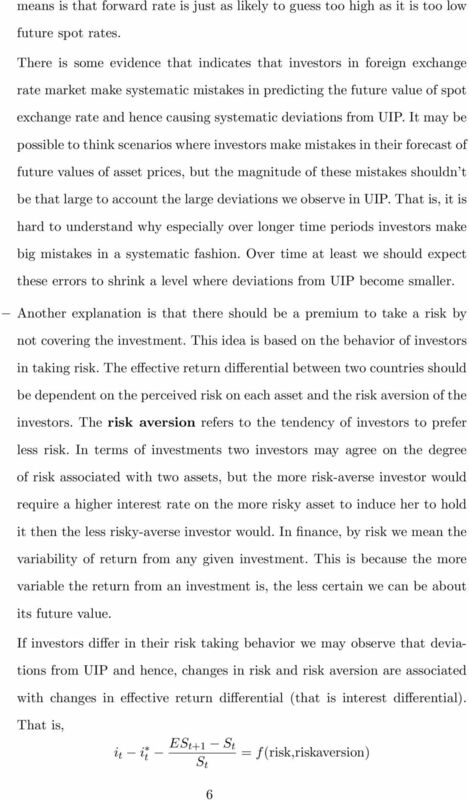 How is a fund manager motivated to behave with this type of renumeration package? 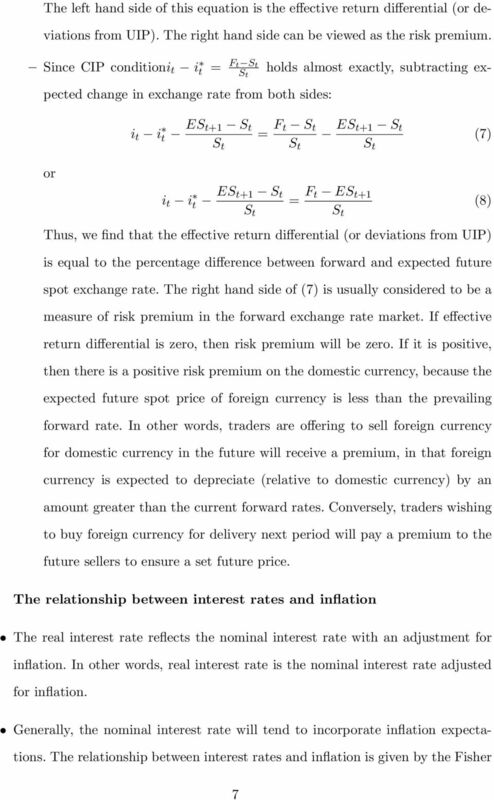 Using Currency Futures to Hedge Currency Risk By Sayee Srinivasan & Steven Youngren Product Research & Development Chicago Mercantile Exchange Inc. Introduction Investment professionals face a tough climate. Problem 1.11. A cattle farmer expects to have 12, pounds of live cattle to sell in three months. The livecattle futures contract on the Chicago Mercantile Exchange is for the delivery of 4, pounds of cattle. Fundamentals of Futures and Options (a summary) Roger G. Clarke, Harindra de Silva, CFA, and Steven Thorley, CFA Published 2013 by the Research Foundation of CFA Institute Summary prepared by Roger G.
GRADO EN ECONOMÍA. 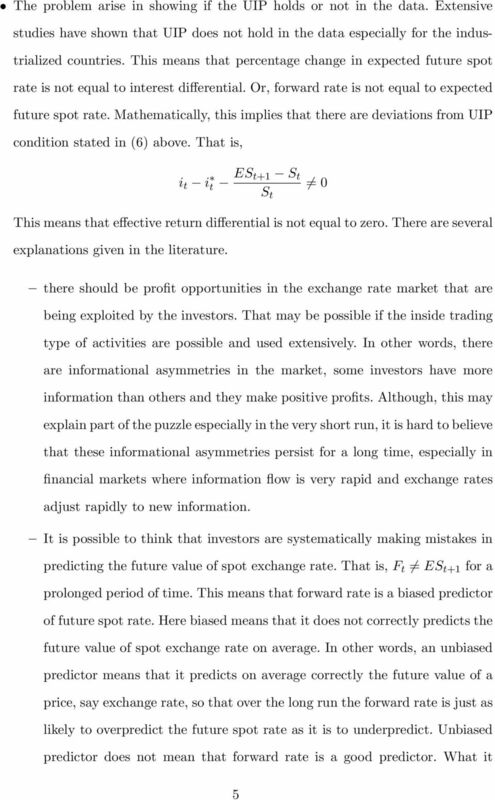 Is the Forward Rate a True Unbiased Predictor of the Future Spot Exchange Rate? 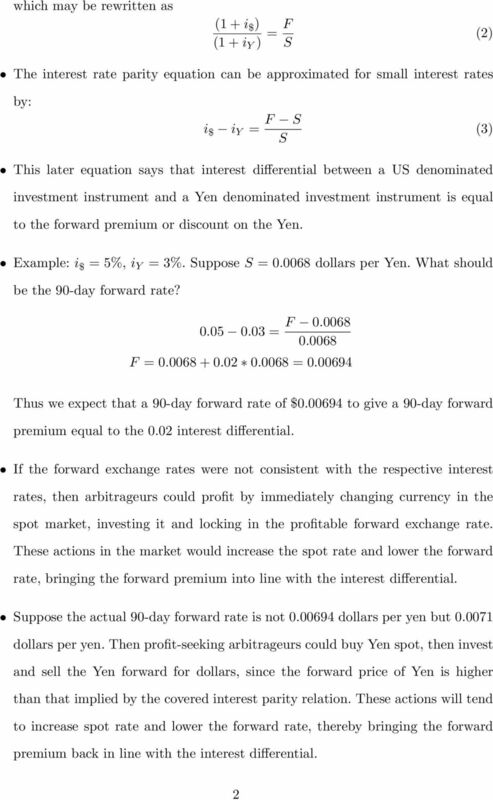 Estimating Risk free Rates. 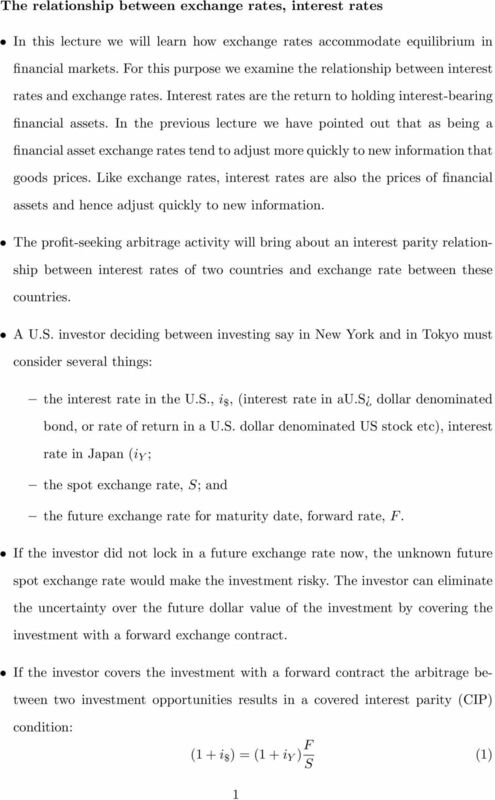 Aswath Damodaran. Stern School of Business. 44 West Fourth Street. New York, NY 10012. Adamodar@stern.nyu.